After Leonardo DiCaprio filmed The Beach here tourism skyrocketed as people flocked to catch a glimpse of its rare beauty. 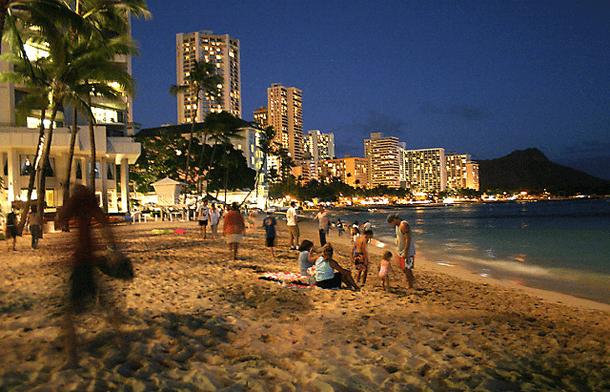 As one of the most famous beaches in the world Waikiki can certainly get quite crowded, especially considering how short it is. In spite of that, however, it provides some amazing views of Diamond Head and Honolulu. 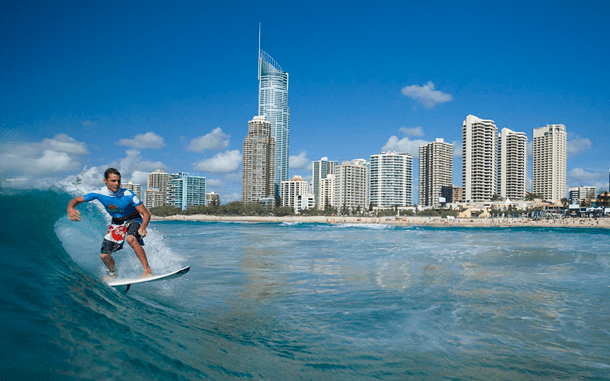 Known to locals as “Surfer’s” it should come as no surprise as to where this popular Queensland Beach got it’s name. 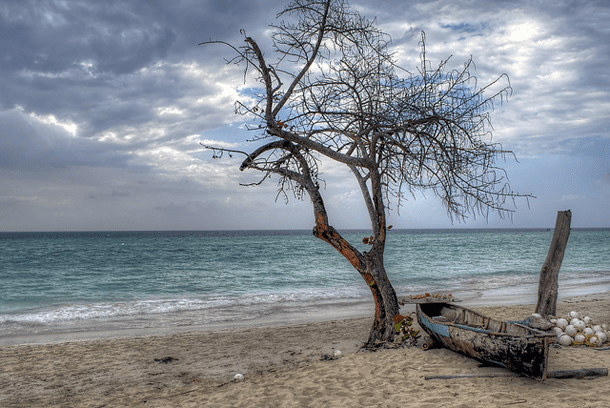 Image SourceAs one of the largest and most well known beach resorts in Jamaica you’re sure to get your share of rest and relaxation as you take in the laid back atmosphere. 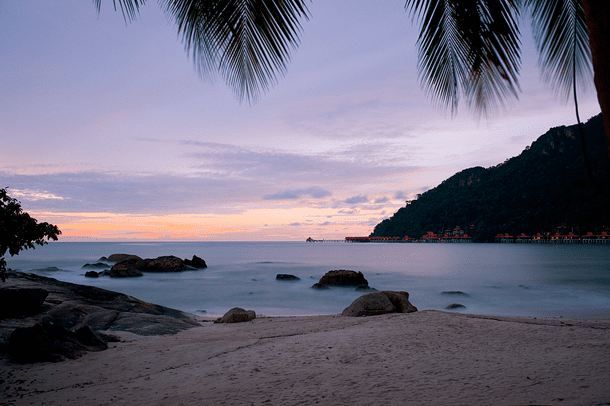 Starting out as little more than a coconut farm, this world famous beach is now known for its vibrant nightlife and has become a popular international tourist destination. 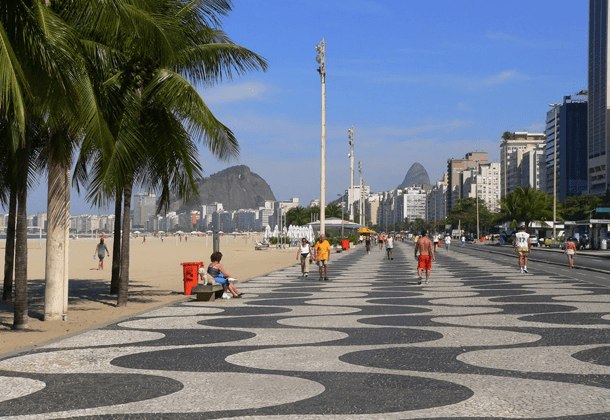 Also known as the “4km beach” this stretch of sand is not only famous for its numerous hotels and restaurants but it also plays host to the FIFA Beach Soccer World Cup most years. Image SourceLocated on the Fijian island of Viti Levu this white sand beach offers numerous activities including horse back riding, boogie boarding, and petanque. 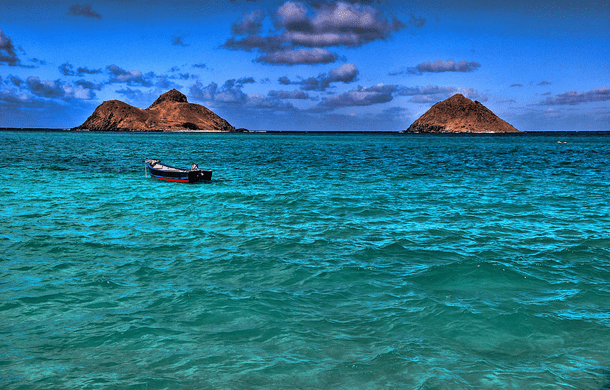 With over 12 million visitors annually, this small island has not only some of the best beaches in the world but also the third largest volcano on Earth, Mt. Teide, which makes for some amazing views. Image SourceMeaning “land of one’s wishes” this beach paradise was once reputed to be a notorious pirate hideout. 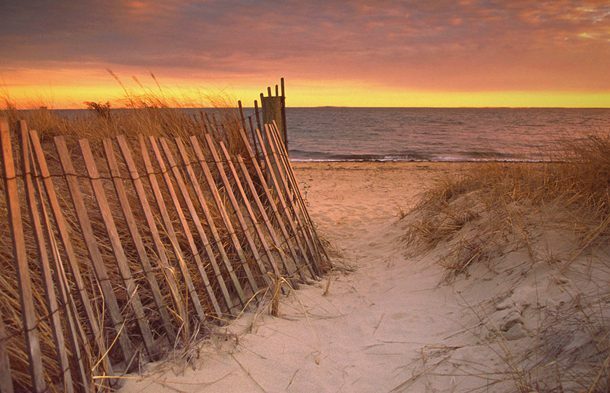 With sparkling sand and blue water the “arm” of Massachusetts attracts thousands of visitors to its National Seashore. It’s also not that hard to get to the well known islands of Martha’s Vineyard or Nantucket from here. 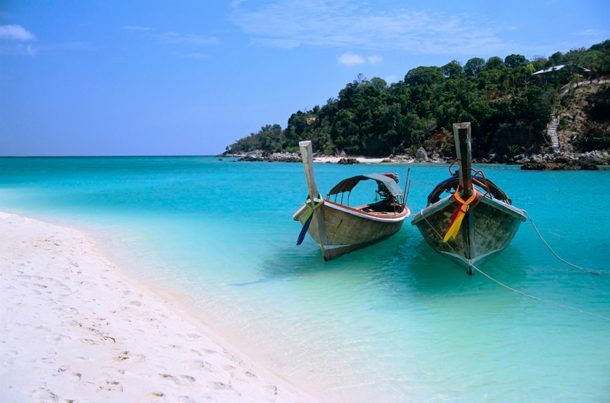 Found near the north tip of Zanzibar this white sand beach off Africa’s east coast is dotted with fishing villages and is home to a diverse variety of marine life. 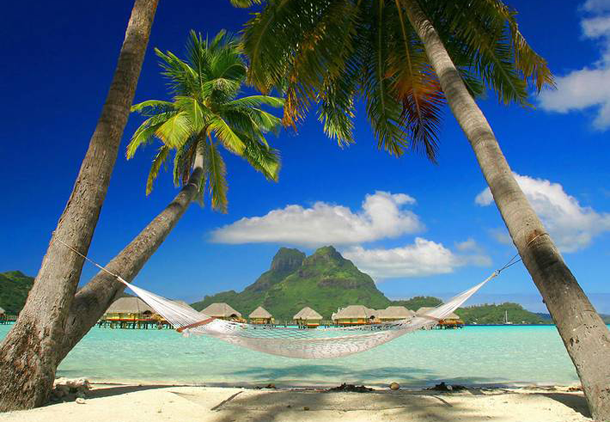 Although it takes forever to get to this place, the scuba diving, fishing, and snorkeling make the journey well worth it. 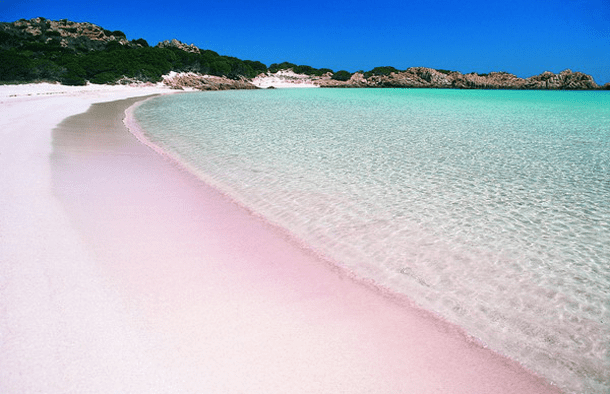 Famous for its mile long strip of pink sand, this uniquely colored beach is a popular getaway for those who want more nature and less of the tourist resort feel. 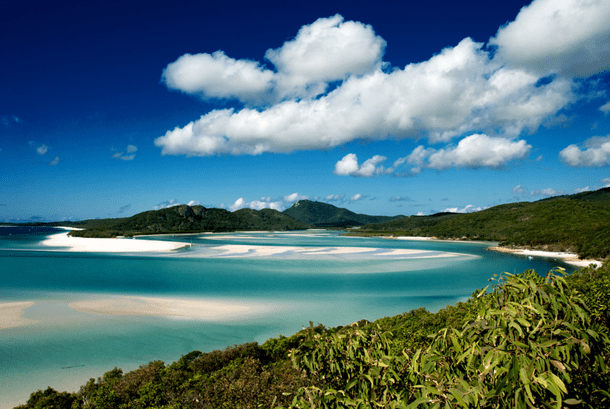 This 7 km stretch of beach on Whitsunday Island in Australia has been labeled one of the cleanest in the world. The sand here consists of 98% pure silica which also means it’s insanely white. 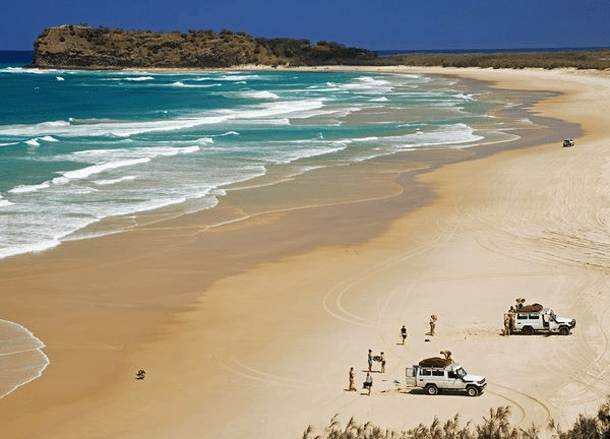 Running most of the length of Fraser Island this beach doubles as a highway/runway. Although it is extremely beautiful the currents are dangerous and the Tiger Sharks are plentiful so bathers beware! 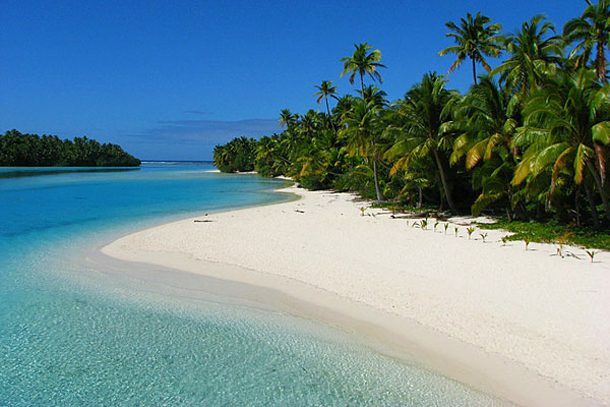 Found on the island of Bora Bora (also known as the Romantic Island) this isolated beach lies in a protected lagoon and offers some of the whitest sand in the South Pacific. To get here you can either take a boat or descend along a steep path leading down the side of the cliff in the background. 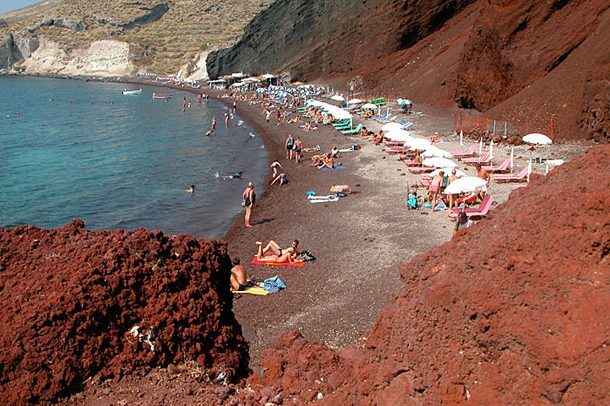 Although the island of Santorini isn’t really popular for its beaches, this one is too unique to disappoint. 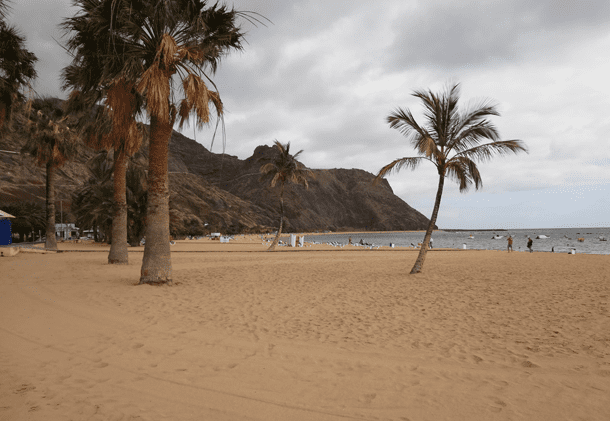 This untamed and partially deserted beach would undoubtedly be suffocated by tourist resorts if it were located in a country with a “better” tourist industry. 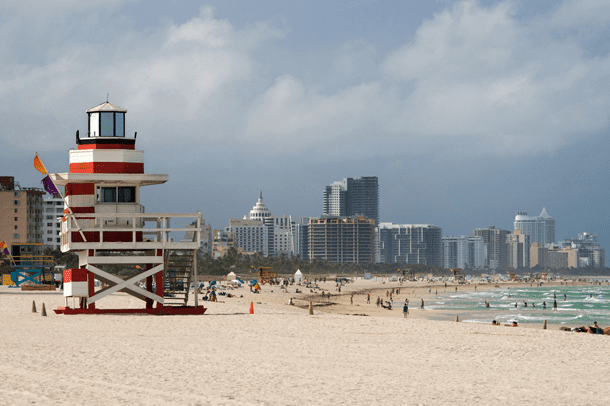 Whenever somebody mentions a Spanish beach people will often think of the Mediterranean but the truth is that the Atlantic coast has just as much to offer. 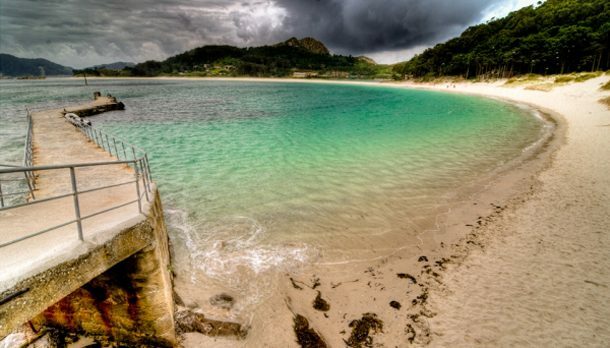 Take for example Las Islas Cies. 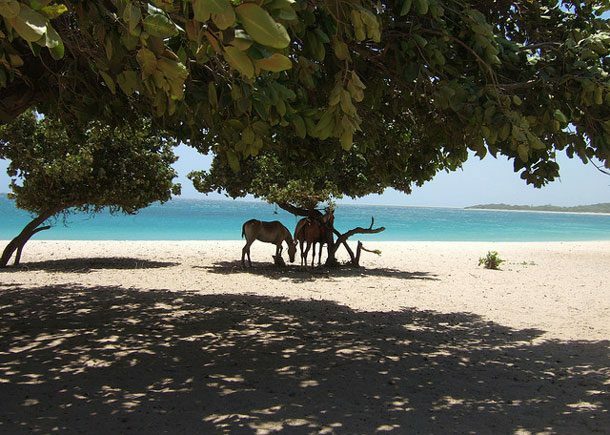 This former pirate hideout is just off the coast and with its pristine water the locals refer to it as their “Caribbean beach”. 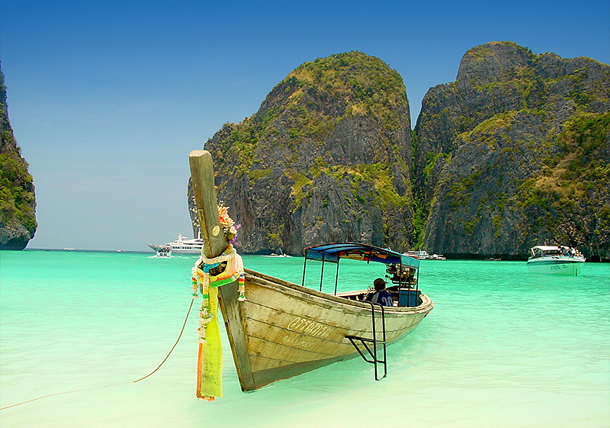 ALTHOUGH MAYA BAY (#25) MAY BE WHERE ALEX GARLAND AND LEONARDO DICAPRIO FILMED THE BEACH, EL NIDO WOULD BE WHERE THEY GOT MOST OF THEIR INSPIRATION. 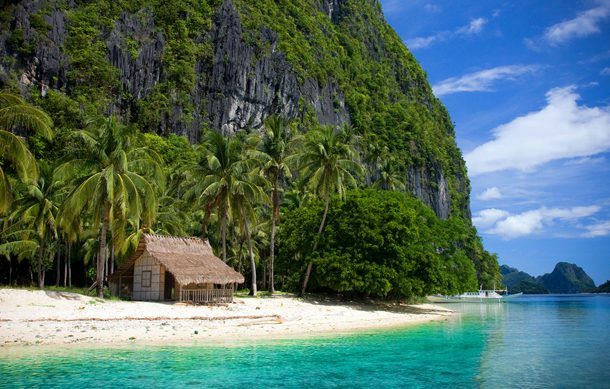 UNLIKE THAILAND, MOST ISLANDS IN THE PHILIPPINES ARE RELATIVELY DEVOID OF TOURISTS AND PALAWAN (WHERE EL NIDO IS LOCATED) IS NO EXCEPTION. 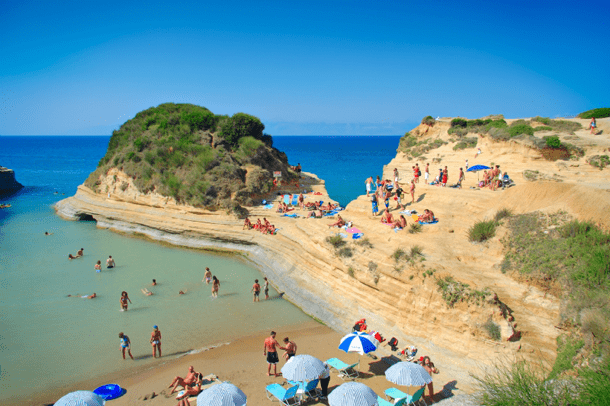 Found on the Greek island of Corfu, some of this beaches most recognizable landmarks are the unusual cliff formations known as the canal d amour (channel of love). According to legend if a couple swims together in the surrounding water they’ll be together forever. 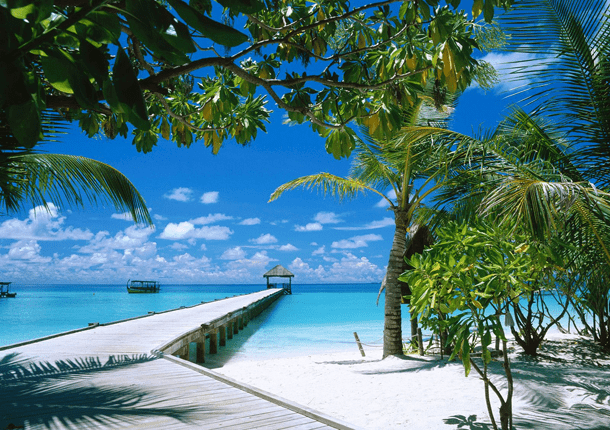 With 87 resort islands straddling the equator the crystal clear water of the Maldives is about as far from the real world as you can get. Image SourceWith half a mile of tropical plants, sparkling sand, and intensely blue green water this beach is known for being postcard-perfect. 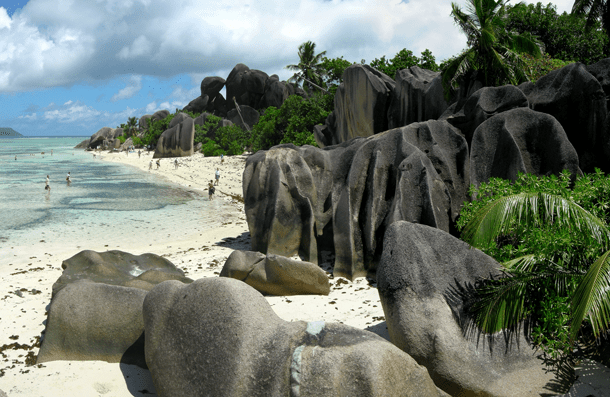 Quite possibly one the most photographed beaches in the world, you’ll find the looming boulders of this surreal paradise on the island of La Digue in the Seychelles. 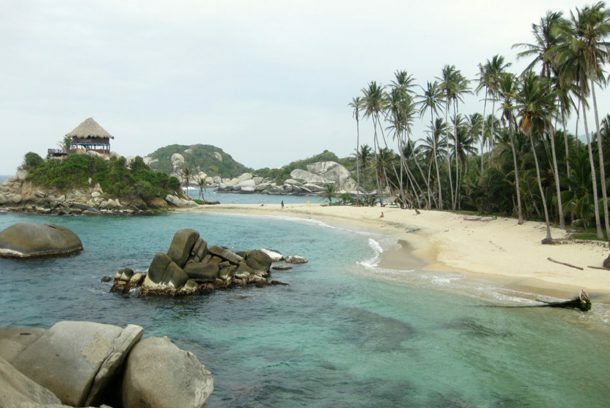 It’s surrounded by shallow turquoise water and protected from the ocean’s waves by a coral reef. 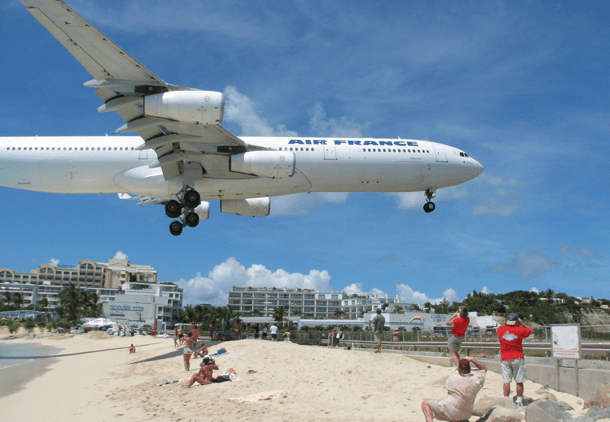 Famous for having its international airport right next to the beach, the planes get so close to the sand that sometimes the jet blast even blows people into the water.